This is the first contest piece I've made in the seven years that I've been on DeviantArt. A super talented artist called Skirtzzz is having a contest and the task was to draw her character, Celestine. About this piece: this is a reference piece that I used to model my own interpretation of the character. I am a bit shocked at my own ability to draw her "trademark boobies." 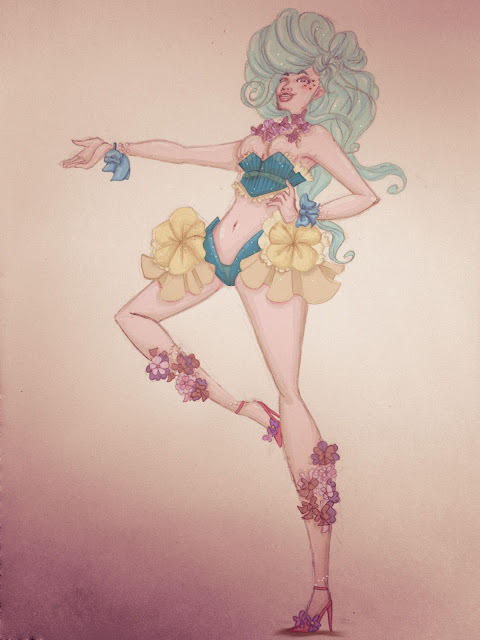 It is safe to say that Celestine is the most "scandalously"- clad character I've ever worked on.